Gleneagles Global Health City is a leading tertiary care providing multi-specialty hospital in India with excellent outpatient, inpatient and emergency care facilities. 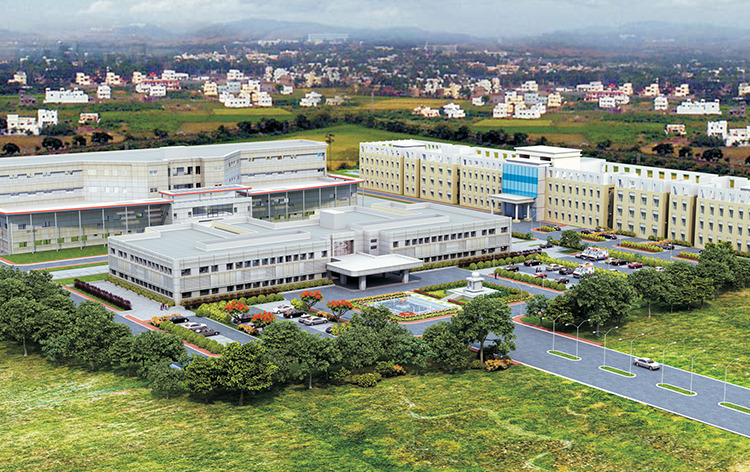 The hospital is one of the largest hospitals of Gleneagles Global Hospitals in India, with a capacity of 1000 beds and ultra-modern infrastructure offering a wide range of healthcare services. The hospital is a recognized hospital and has many firsts to its credit including conducting the first Adult Liver swap Transplant, split liver transplant, and single lung transplant in India, along with being the first in South Indian states to perform 5 successful liver transplants in a day. Gleneagles Global Health City houses a team of accomplished and renowned medical professionals along with skilled and qualified support staff to impart best possible medical care to patients. Radiation Oncology department equipped with advanced linear accelerator for delivering radiotherapy - TrueBeam STx, and other high-tech equipment for Image guided radiation oncology, High dose rate Brachytherapy, and Stereotactic radiosurgery. The hospital comprises Robotic interventional pain management system which is a modern technique for pointing the accurate location for therapy and is used for selective procedures. The Imaging departments had 3 Tesla Silent MRI, CT scanner, Ultrasound, X-ray and other top-notch equipments. Gleneagles Global Hospital City is a leading hospital providing excellent healthcare services and facilities to domestic as well as international patients. The hospital is a state-of-the-art medical facility equipped with advanced technologies for complex procedures and surgeries and maintains highest standard of quality for clinical care and hygiene. The International Relation Manager at this hospital provides all kinds of assistance to international patients to ease their journey by taking into consideration their needs and comfort. Nearest Airport: Chennai International Airport is 17 km away from the hospital and takes approximately 20 min to reach via road. Nearest Railway Station: Chennai Central Railway Station is just 26 km away from the hospital and takes approximately 30 min to reach via road. Gleneagles Global Health City performs 386 different procedures. Click on a procedure name to see more details and to view doctors for that specialty. My son had a liver transplant and i am the donor, overall i found professionalism is high with appropriate medical care in accordance to the experienced surgeons. 4.8 average based on 60 reviews.